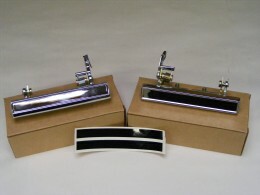 We offer reconditioned used GM window trim sold by the piece! USE THE DROP DOWN MENU BOX TO BROWSE INVENTORY! As you select a piece the image will display of that piece. All polished pieces will be hand polished out for a nice shine. May have light scuffs and scratches on polished units as they are 30+ years old. However if unit is scratched up a lot we reset these units to black for a good looking appearance. 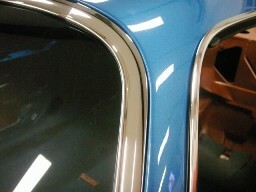 Black trim is blasted to bare metal and then reset into a SATIN black not a high shine gloss. This satin finish is correct as GM did them back in the day.